Sir Simon Rattle and the LSO are joined by revered French pianist Pierre-Laurent Aimard in a concert film that bringstogether music by Anton Bruckner and Olivier Messiaen: two composers as united in their devotion to the Catholic faith as they are divergent in their approaches to writing music. 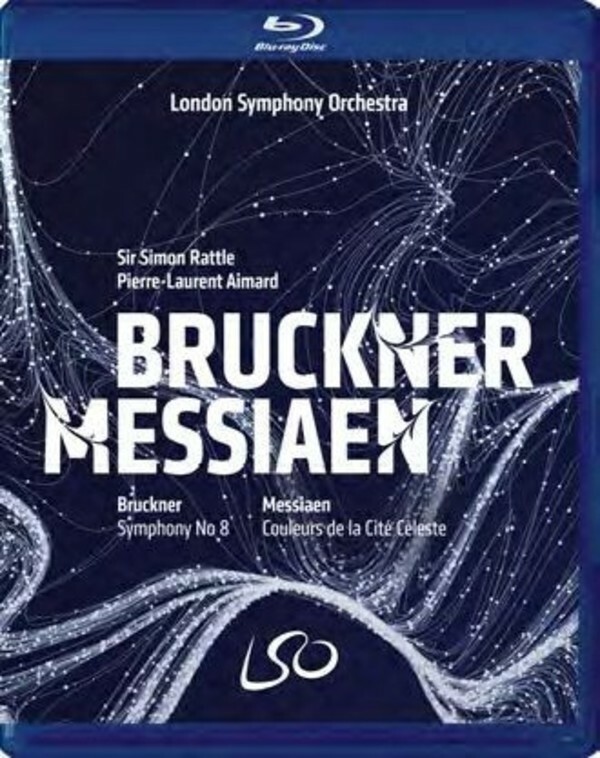 The programme begins with Bruckner�s monumental Eighth Symphony, with Rattle leading the London Symphony Orchestra through its 1939 edition, prepared by the Austrian musicologist Robert Haas. The composer�s last complete symphony, it has since become characterised by its explosive, dramatic nature and immense scale. Taking Bruckner over five years to compose and revise, it would only be performed three times whilst he was alive. In stark contrast to the magnitude of Bruckner�s Eighth, Messiaen�s Couleurs de la Cit� C�leste lasts just over quarter of an hour. The 20th-century work comprises sequences of short episodes and serves as a microcosm of the composer�s various preoccupations, from birdsong to the Book of Revelation. Centred on the piano and performed by a reduced orchestra, Aimard takes to the stage, offering an expert rendition of Messiaen�s often overlooked work.